Workers could enjoy a bigger pay rise next year as demand for labour remains high amid a tight supply of foreign manpower. But the hike is unlikely to be stellar, as Singapore is facing tepid economic growth and global uncertainties, recruiters told The Straits Times. They project wages to go up by 3 per cent to 5 per cent on average across a range of industries, with some, such as health care and hotels, outperforming others. With inflation expected to be around 2 per cent, real wage growth could be around 1 per cent to 3 per cent. 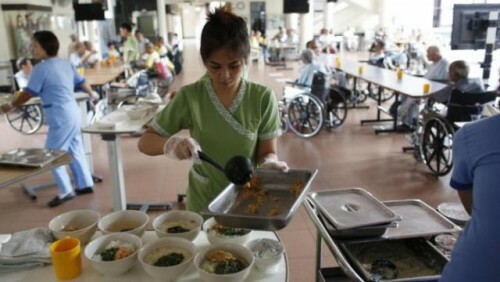 This would be an improvement on this year's poor showing - real median income growth was just 0.4 per cent from last June to this June, including employer CPF contributions, according to preliminary Manpower Ministry data. "Employers will continue to face challenges in retaining and attracting talents in our tight employment market," said Ms Linda Teo, country manager of ManpowerGroup Singapore. "Coupled with the potential economic slowdown in Asia, employers are caught in a situation where they need to keep attrition rate low without escalating the manpower cost too much." Chief executives feel there will be an increase in hiring next year, said recruiter AYP Associates managing director Annie Yap. With the supply of workers from overseas remaining tight, more demand for labour next year means an upward push for wages. Health-care and credit-risk professionals are some jobs tipped to be in high demand. The labour-intensive retail, food and beverage and hotel industries are also likely to see better wage growth. Basic wage increases in the service sector could be above 4 per cent next year, said Mr Peter Lee, managing consultant at Remuneration Data Specialists. But the good news does not extend to sectors where growth may be more muted. Experts believe the finance as well as oil and chemicals industries, which typically see high wage growth, will be more cautious because of global uncertainties, such as falling oil prices. "Some companies will look to take on short-term contractors rather than permanent staff," said Mr Tom Reid, country manager of energy sector recruiter Spencer Ogden Singapore. Employees have a positive outlook on their pay - some 62 per cent of 400 workers in Singapore expect a hike in their salaries in the year ahead, found a survey by recruitment firm Randstad done in October and November. Engineer Darius Tian, 29, said he was happy to hear that wages are expected to rise. "But I'm sceptical about the amount, based on the current economy and my experience over the past four years of work."